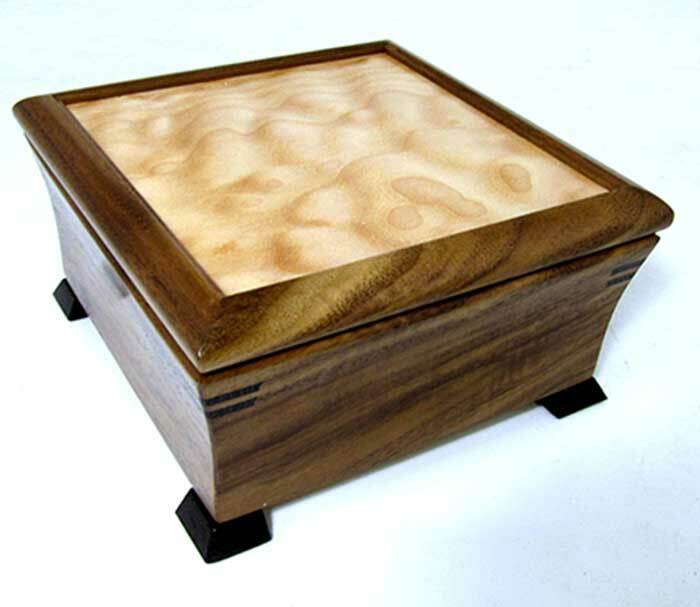 Exquisite handmade wooden box by Mikutowski Woodworking in walnut (shown) with a maple top and wenge accents. It is lined on the bottom and is open (with no dividers). Suggested uses: bedside box, coaster box, dresser box. Also available in bubinga, birdseye maple, cherry, curly maple, padauk, purpleheart and Bolivian rosewood. Size: 5.5" x 5.5" x 3"